Well here we are again, reading another issue of the “Tewsletter” together. You’ll notice this one is coming to you on a Wednesday instead of a Tuesday as previously promised, but also remember that I promised inconsistency, and that’s what I’m really intent on delivering. Nothing major has happened since the last time we spoke. I took a trip down to Athens, Georgia and I turned thirty-five. That’s about it. Thirty-five has been great. By now, it’s very clear that I’m not a prodigy or some sort of wunderkind. I’ve still got plenty of time to peak if I’m being optimistic. The men in my family typically don’t hit their stride until their mid-forties anyway. This pace is hereditary. I’ve got a bunch of standup shows I want you to come to. I don’t expect you to attend all of them, but five or six would be great. And if any of you want to follow me on tour, swap bootleg tapes, and do acid in a parking lot like a jam band fan, that would be funny, but I’d question your choices. And you don’t have to bootleg my shows because in November I’ll be making an album in Cleveland with Rooftop Comedy. Buying that album will be much cheaper than buying recording equipment to bootleg shows. 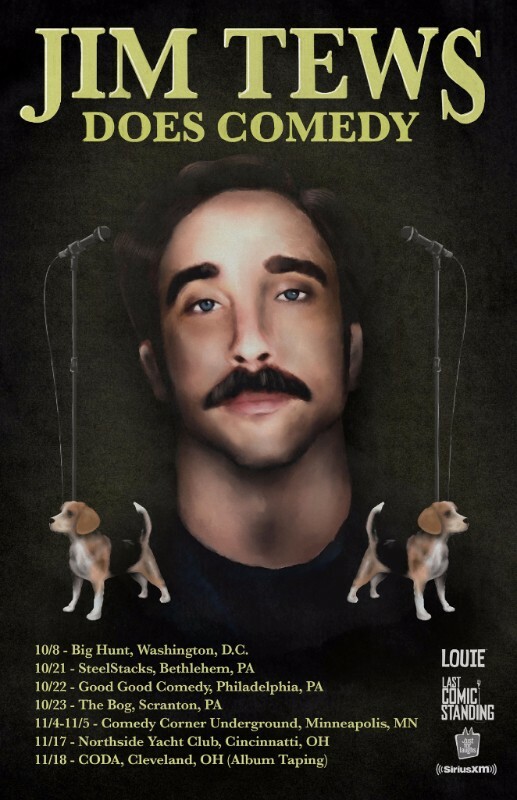 October 8th - Big Hunt, Washington, D.C.